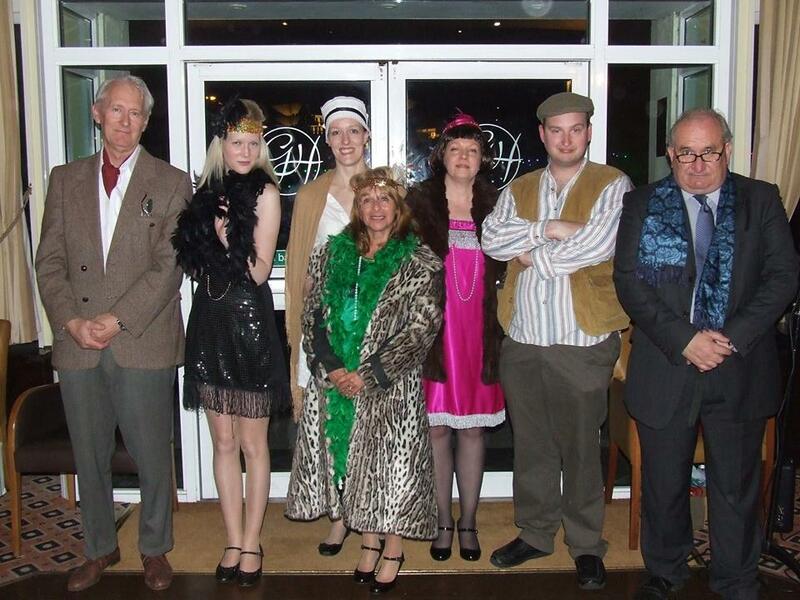 Over 30 guests, some in 60's fancy dress, enjoyed a 'swinging sixties' evening at The Watermark on Saturday. Amateur super sleuths questioned the suspects who all had a reason to murder the nasty Dexter Dinsdale! Prizes were awarded to the winners and a great time was had by everyone! The line-up - who is the guilty party?! A 1920's Soiree was held at The Grand Hotel, Torquay on April 23rd. Guests in 20's fancy dress, came from far and wide in Europe and thoroughly enjoyed their evening of interrogating the suspects. A delicious meal was served overlooking the sunny English Riveria - what more could you ask? A rip roaring time was had by everyone! 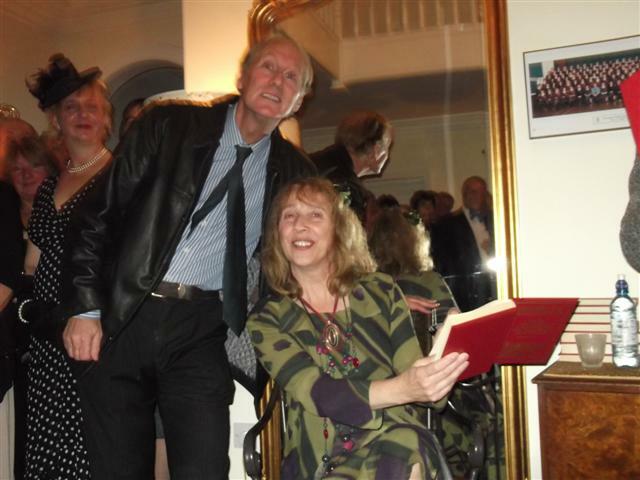 A brilliant time had by all when Black Ivy Mysteries performed a 1970s themed murder at The Westward Inn. Dodgy costumes, and even dodgier wigs! This was their charity event of the year, for Crohns & Colitis East Cornwall & West Devon Group. Next Murder - The Westward Inn! Have you got your tickets yet? 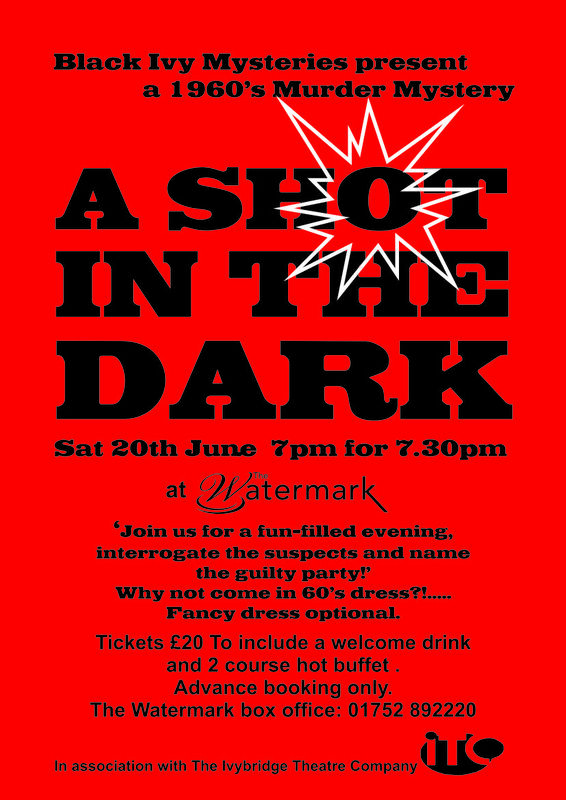 Come along to The Westward Inn, Lee Mill, and support your local Crohns and Colitis group, whilst having a great time trying to solve the murder...... Tickets only £15 to include a meal - will you choose lasagne, fish and chips or one of the other mouth watering delights on offer? Check out their website for more details or to book your tickets (available in advance only). 1970's theme - fancy dress optional. After a great evening at Ivybridge Library, we now have plenty more murders planned over the next few months. 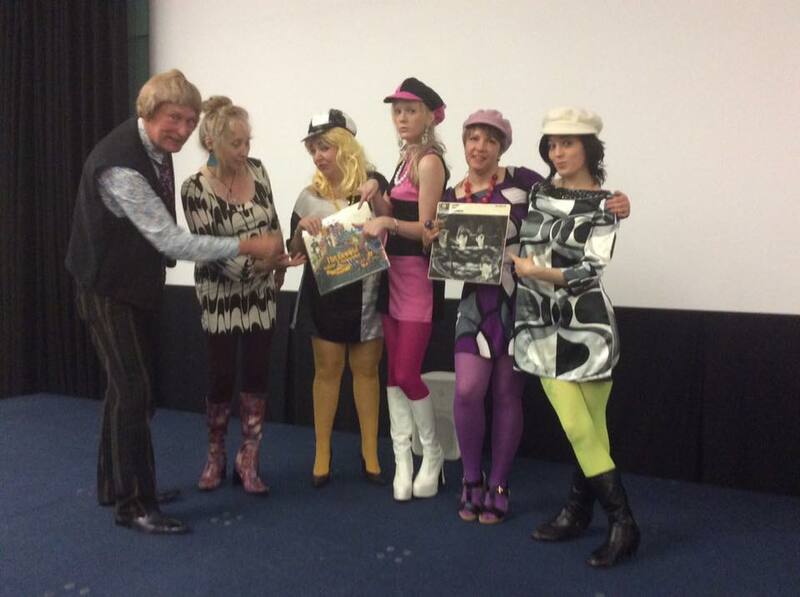 Staring with Ivybridge Community Hub's 60s/70s themed BBQ evening on August 17th, then the ever popular Glazebrook Hotel on September 28th, followed by a 70's themed murder at The Westward Inn, with the local Crohns and Colitis group. More details to follow, but get those dates in your diary now! Come and join in the celebrations for World Book Night at Ivybridge Library! A 1920's themed evening, (dress to impress!) where you will watch the short playlet, then after a buffet supper you will get the chance to interrogate the suspects and use your little grey cells, to work out 'whodunnit'. Tickets (in advance only) only £10 per person to include buffet supper. No alcohol available, but free to bring your own :). Get your tickets from the library now - a guaranteed fun night out. Another great murder at The Glazebrook! Another murderous evening at The Glazebrook Hotel! It will be getting a reputation soon! Sumptuous food (as always) and great guests that made for a really fun evening. Watch out for the next one, later in the year.